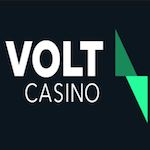 Volt Casino is offering their British players bonus missions to always keep them entertained. One of them is the Welcome Mission which offers up to 50 spins with no wagering requirements for your first deposit. 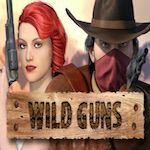 These can be used on the Wild Guns Slot. Redeem the promotion from here, create an account and make a deposit greater than £20. For each £5 deposited over the minimum sum, you get 5 spins up to a total of 50. Each spin has a value of £0.10 and can be played only on the specified game which will be displayed after enrolling. For this deal, you can use any payment method except Neteller and Skrill. They are valid for 7 days after you claimed them. Maximum amount that can be cashed out is £200.